Richard Whaley, Chairman of MAS Companies, has over 30 years of experience developing and acquiring real estate in twenty states. He is also experienced in management, as well as all forms of debt and equity structure. He serves as a general partner, principal officer of the corporate general partner or managing member of most of the partnerships or limited liability companies in which he is involved. Mr. Whaley proudly serves as the Investment Committee Chairman of the Orlando EB-5 Investment Group and is an advisor to the Sino American Investment Fund. 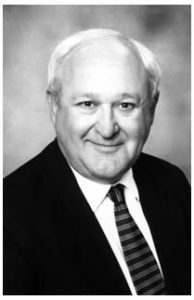 He has been or is currently involved in a number of other professional and civic associations, including Founding Trustee, Dahlberg Center; Founding Member, Ohio State Advocates; Former Director, Affordable Housing Tax Credit Coalition; Board of Directors, National Housing and Rehabilitation Association; Founding Trustee, Atlantic Housing Foundation; Nightingale Home Care, Inc.(Alzheimer’s); and FIABCI (International Real Estate Group, a UN Habitat Partner and ECOSOC associate). Rich and his wife Sharon have three grown children and reside on the Eastern shore of Maryland.